These terms and conditions form the basis of the contract through which the International Institute of Risk and Safety Management ("IIRSM", "we" or "us") will deliver membership services (the "Services") to you as a member of IIRSM ("IIRSM individual member" or "you"). 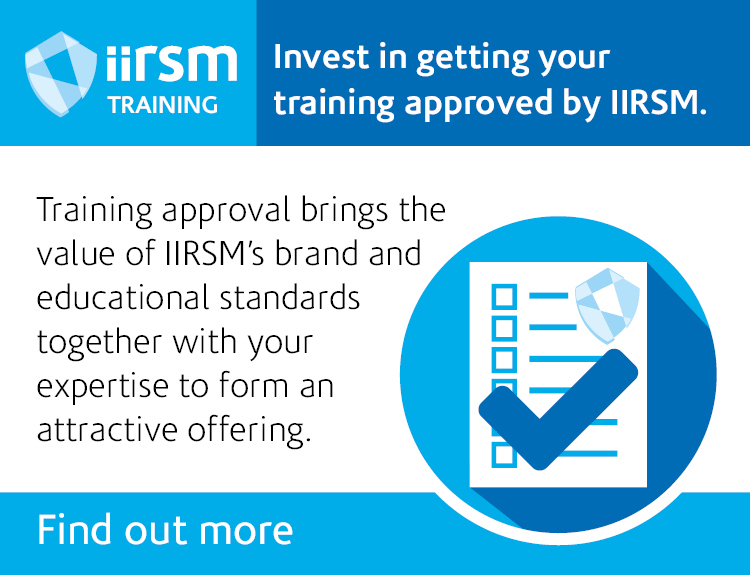 IIRSM is the risk institute for industry and organisations that provide products and services to them. We provide practical education, training, advice, networking and resources to help people and organisations manage the challenges they face. Individuals may join as Students, Affiliates, Associates, Members or Fellows through assessment of their level of practical professional experience. Students and Affiliates of IIRSM do not go through an assessment process. Please read these terms and conditions carefully before applying to become an IIRSM individual member. In consideration of us accepting your application to become an IIRSM individual member and allowing you to access the site, you agree to be bound by these terms and conditions. You should also note that these terms and conditions set out obligations to other IIRSM individual members, and those IIRSM ​individual members may be able to enforce their rights against you under these terms and conditions. Your attention is particularly drawn to the limitations and exclusions of liability set out in these terms and conditions. Membership of IIRSM will provide you with one of four levels of individual membership: Affiliate, Associate, Member or Fellow. The ability to exchange knowledge and professional experiences with IIRSM community. NOTE: Membership packages may vary according to the level of individual membership. We reserve the right to change the benefits that apply to IIRSM membership at any time. Any external providers of a benefit included within your membership package will have absolute discretion in relation to the provision of services, and membership of IIRSM does not guarantee that the external provider will accept an application from an IIRSM member for the provision of services. 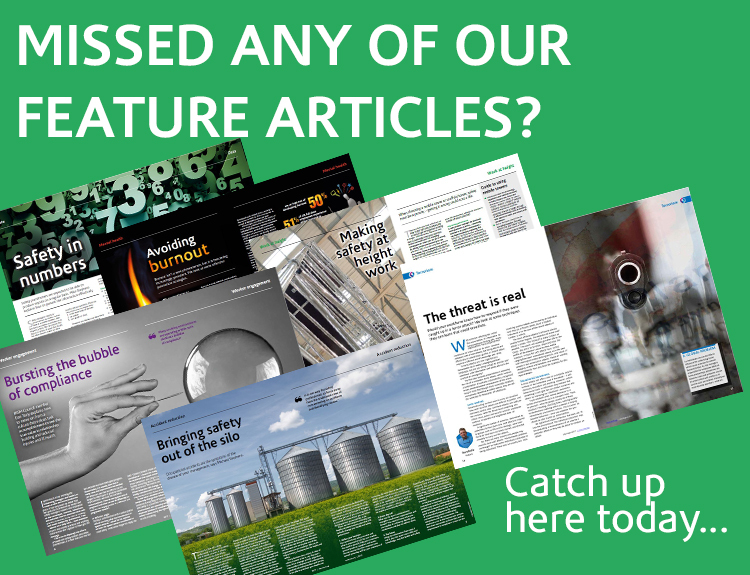 We securely provide your personal data to the mailing house responsible for delivering membership documentation and printed magazines Health and Safety at Work and Insight. We also securely provide your data to Lexis Nexis so they can provide access to the healthandsafetyatwork.com website. If you do not want us to send your data to these third parties, please contact the Data Protection Officer at dpo@iirsm.org. Services supplied by an external provider will be subject to the provider’s own terms and conditions, and we do not accept any liability for loss or damage suffered as a result of a fault, error or omission in the provision of these services. We reserve the right to change our external providers at any time and our decision on services provided is final. To become an IIRSM ​individual member, follow the instructions on the membership pages of the Site. This application is an online process. When you submit your online application to IIRSM, or you fax, post, telephone, or email us with details of your application and you pay an application fee and subscription fee upfront, you are making an offer to subscribe to IIRSM which, if accepted, will result in a legally binding contract. The application fee is non-refundable therefore if your application is not accepted for any reasons, you will lose the application fee but you will receive a refund for the subscription fee that you pay with your application form. At the point of renewal of your individual membership, your renewal payment is confirmation of your continued acceptance of the Institute's terms and conditions. Once the fee is paid, your subscription fee is non-refundable. You may not transfer your membership under these terms and conditions to another person. For online applications you will either have sight of a confirmation page or receive an email. Acknowledgement that your application has been received and is being processed does not yet mean that your application has been accepted. Your individual membership with IIRSM begins on the date when membership and any other fees have been paid in full. For applications made verbally or via a written application form or email, your individual membership will begin on the date we send your welcome pack. This will be sent out when all your documents have been received and assessed, and membership fees have been paid in full. If you are already an individual member and wish to renew your membership, please log in to the members’ area of the IIRSM website and follow the instructions on how to renew in your profile. Do not complete the application form again as this may result in a duplicate membership record being created. If your individual membership has lapsed for a period of two years or more, you will be required to complete a new membership application form. It is not possible to reinstate lapsed memberships online. Please contact IIRSM team at membership@iirsm.org for support. By proceeding with this application you are confirming that, as an Associate, Member or Fellow of IIRSM, you will be committed to developing your IIRSM competencies while contributing to the professionalism of the sector. All individual members commit to maintain appropriate levels of CPD on joining the Institute and reaffirm their commitment on an annual basis. IIRSM ​individual members (including Affiliates) also agree to abide by the IIRSM Code of Ethics (the "Code"). All Institute members sign up to this Code on joining, and reaffirm their commitment on an annual basis. Failure to adhere to the Code, resulting in a formal complaint made against you, may result in disciplinary procedures and/or the termination of your membership. We reserve the right not to fulfil, or to cancel, your application if we are unable to obtain payment authorisation from the issuer of your credit/debit card or payment by other means. If you have been convicted of a criminal offence which is not yet spent, or have a prosecution pending, this must be declared in writing. A declaration must also be made of insolvency or undischarged bankruptcy. This information will be treated in the strictest confidence and will only be taken into account if relevant. Spent convictions under the Rehabilitation of Offenders Act 1974 need not be disclosed. If your individual membership application is accepted, but we subsequently discover that any or all of the information provided by you was misleading or false, we reserve the right to revoke your membership with immediate effect, without the right of appeal. Membership levels and upgrades are processed by our assessment team. We reserve the right to downgrade an application if following an initial application it transpires the evidence we have received does not meet the assessment criteria. You have the right of appeal against the membership level offered if you believe it to be unjust as not reflecting the level of your professional IIRSM experience. A review will be conducted with the decision of the assessment team then being final. you have declared any unspent criminal convictions, insolvency or undischarged bankruptcy. you will not do, or omit to do, anything that might reasonably be expected to put us in breach of any Applicable Laws. You will provide us promptly on request with all information that we may reasonably require from time to time in connection with your access to or usage of the Site. If you wish to cancel your individual membership you can inform us of your intention to cancel at any time. We are not able to offer part-refunds for uncompleted years. Once renewal of your membership has occurred, it will still be possible to cancel your membership, but we will not be able to offer a refund. By agreeing to these terms and conditions, you agree that you will pay us the fees set out on the "Apply Online" pages of the Site. Fees displayed on this page – both for the annual individual membership fee and Application fee (if applicable) – will prevail at all times in relation to orders placed online. Fees displayed on a hard-copy application form, or quoted to you by an IIRSM representative, will prevail in relation to membership applications made verbally or by post. You may make a one-off payment for a one-year membership, two years or three year membership subscription (new or renewal) by cheque, BACS, credit or debit card, in accordance with the payment information contained on the Apply Online page of our Site. We reserve the right to increase the price of individual membership subscription annually, and any such amendments will be on the Application page of the Site. If you are a current IIRSM individual member, you will be informed of any fee increase in your renewal letter. If we discover an error in the price of your membership subscription, we will inform you as soon as possible. Fees quoted are for individual membership only. If you are not using your own credit/debit card to pay for the membership fee, you must ask the permission of the credit/debit card holder before entering the payment details. If you agree to Gift Aid your membership you must use your own credit/debit card. When you apply to become an IIRSM member either online, by post or verbally, you are confirming that you have obtained the express prior permission of the credit/debit card holder. You shall not (a) knowingly introduce any viruses into the IIRSM website or (b) attack (or instigate or facilitate the attack of) the Site or Services via a denial-of-service attack or a distributed denial-of-service attack, or (c) use the website or services for any purpose which is unlawful, abusive, libellous, obscene or threatening. We will not be liable for any losses caused by any form of attack or viruses that may infect your computer equipment, computer programs, data or other proprietary material due to use of the Site or Services. The website may contain links to other websites, which in turn may contain material that has been produced by third parties not affiliated with us. We have no control over those other websites and accept no responsibility or liability for information or content provided on such websites. Nothing in these terms and conditions shall exclude or limit any person's liability for death or personal injury caused by its negligence, or any person's liability for fraud. us, or other IIRSM members, acting on materials or communications which purport to have been made by or on behalf of you but which have been created or sent by (i) a third party purporting to act in your name, or (ii) a person who has lawful access to the Services but who exceeds his authority, regardless of whether such losses arise in contract, tort, negligence, breach of statutory duty or otherwise. Further, neither we nor any of our agents, licensors or delegates or its or their directors, officers or employees will be liable for any indirect or consequential losses incurred or suffered by you, whether or not those losses are foreseeable. The total aggregate liability of us to you for all losses arising out of or in connection with these terms and conditions, the website and the Services (whether such losses arise in contract, tort, negligence, breach of statutory duty or otherwise) shall not exceed the amount of any fees received from you in the preceding 12 months. Except as specified in these terms and conditions, all express or implied conditions, terms, representations or warranties (whether implied by statute or otherwise) are hereby excluded to the maximum extent permitted by law. These terms and conditions do not and shall not affect your statutory rights as a consumer or the privacy of your data as a private citizen under the Data Protection Act and the General Data Protection Regulation (May 2018). From May 2018 as a new or returning member we ask you to acknowledge and agree that we may monitor your use of the website. You shall treat as confidential and shall not (other than where permitted or compelled to do so by any Applicable Law) use or disclose to any person any Confidential Information nor permit its disclosure. For the purposes of these terms and conditions, Confidential Information means all information (in whatever form) which is not publicly known and which is disclosed to, or otherwise learnt by, you in connection with the website, services or these terms and conditions. in our sole opinion, you materially breach any of these terms and conditions, or fail to adhere to the IIRSM Code of Ethics. at any time by giving you 7 days' notice in writing. On any termination of these terms and conditions your right to use the Site and the Services shall cease, and we may terminate your access to and use of the member only areas of the Site and Services and invalidate any relevant access details. any of these terms and conditions that are intended to continue to have effect after such termination. The right of an individual member to use post-nominal letters (relevant to Associate, Member and Fellow level membership) will cease with immediate effect if a member falls into arrears on their membership subscription, cancels their membership or has their membership terminated by IIRSM for any reason as set out above. If we terminate your membership, you may appeal our decision to terminate by contacting membership@iirsm.org. The matter will be referred to an independent third party chosen by us, and any decision they make regarding the termination of your membership will be considered final and binding. We may change these terms and conditions at any time upon giving you 14 days prior written notice. The most recent edition of these terms and conditions will be binding upon you. Members may exit the contract without penalty if they do not accept any proposed variation. A person who is not party to these terms shall not have any rights under on in connection with them under the Contracts (Rights of Third Parties) Act 1999. These terms and conditions override any contrary terms or conditions published in relation to any membership subscription between you and us. The "IIRSM" trade mark is owned by us and nothing contained on the Site or these terms and conditions shall constitute the grant of a licence to use such trade mark, with the exception of the member logos available to download from the Member Area of the website. Members may download and use the appropriate member logo for personal use. If your membership lapses you must desist from using the member logo immediately. We will respond to any complaint or query received within three-five working days. This may be an acknowledgement that we have received a complaint whilst further investigations are carried out. IIRSM often may contact you by letter, email or phone about your membership status or to update you on industry news, branch activities, events and training. By agreeing to these terms and conditions, you confirm that you are happy for us to contact you with the relevant and appropriate information that forms part of your membership benefits. This does not affect your rights to withdraw consent at any time and you may update your preferences in MyIIRSM. IIRSM may outsource some or all of membership activities. In which case, we will securely provide your personal data to third parties if necessary for example to send your magazines or provide access to the healthandsafetyatwork.com website. By agreeing to these terms and conditions, you confirm that you are happy for us to do so. This does affect your rights to withdraw consent at any time. The ability to exchange knowledge and professional experiences with IIRSM community via social media and our branch network. In order to renew your membership each year we will need to notify you in advance that your membership is due for payment. All renewals are sent to individual members by post. By agreeing to these terms and conditions you opt in to receiving details pertinent to the continuation of your membership.